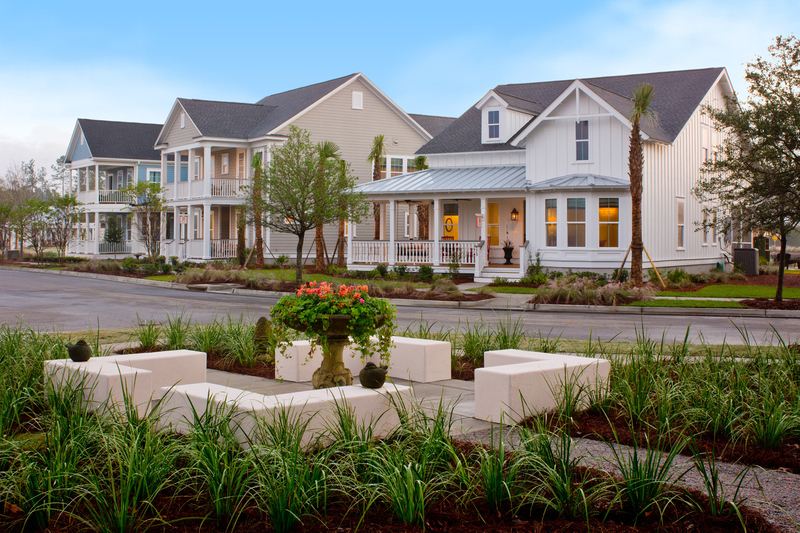 Technology influences our daily lives and has a huge impact on home design. Take the home office. Years ago, it was a statement of power: A big, masculine room with hunting scenes, green walls, a leather sofa and a big wooden desk. It was usually right off the foyer – perhaps to boast that the owner of the home was big, busy and important. Do home buyers need (or want) a giant home office? Perhaps not, but with more men and women working from home these days, the home office is in high demand. Whether part time, full time or just flex hours – having a dedicated work space is crucial. Let’s face it, while working from the sofa or porch can be indulged from time to time, many find that a dedicated space enhances productivity – particularly for families raising children. For those needing to balance family and work life, this is where the Office Alcove comes into play. 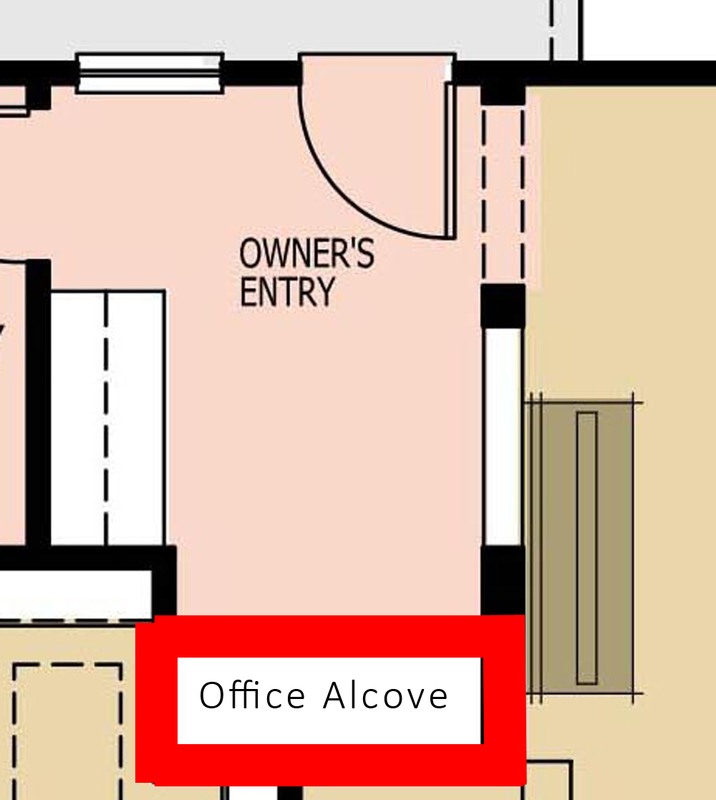 Where the Office Alcove is placed largely depends on how it is to be used. I like the Office Alcove near the kitchen for many reasons. For working parents raising children (especially single parents), being isolated from the rest of the home is not an option. Placing the alcove near the kitchen allows parents to be close enough to the action but just far enough away to keep someone from placing the pizza box on top of the utility bills. Mail can collect here “safely” until we have time to sort through and deal with it. The Office Alcove is also a perfect place for kids to do their homework. 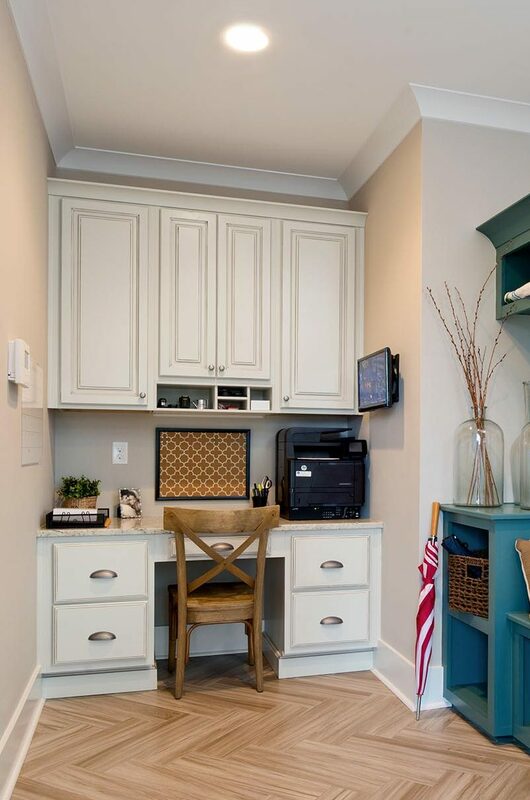 While an Office Alcove can be placed in various spaces throughout the home, let’s leave it out of the laundry room. 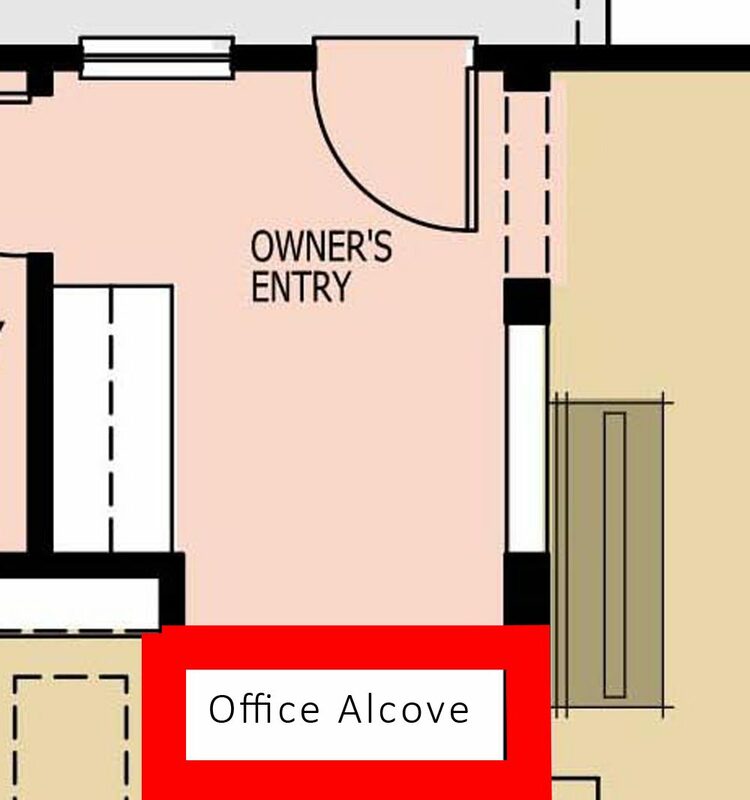 Not only can the space be loud and messy (despite our best efforts to keep it tidy), it’s rather insulting to show a prospective buyer that their place to work is in the laundry room. You’re better off dedicating space for pets there! 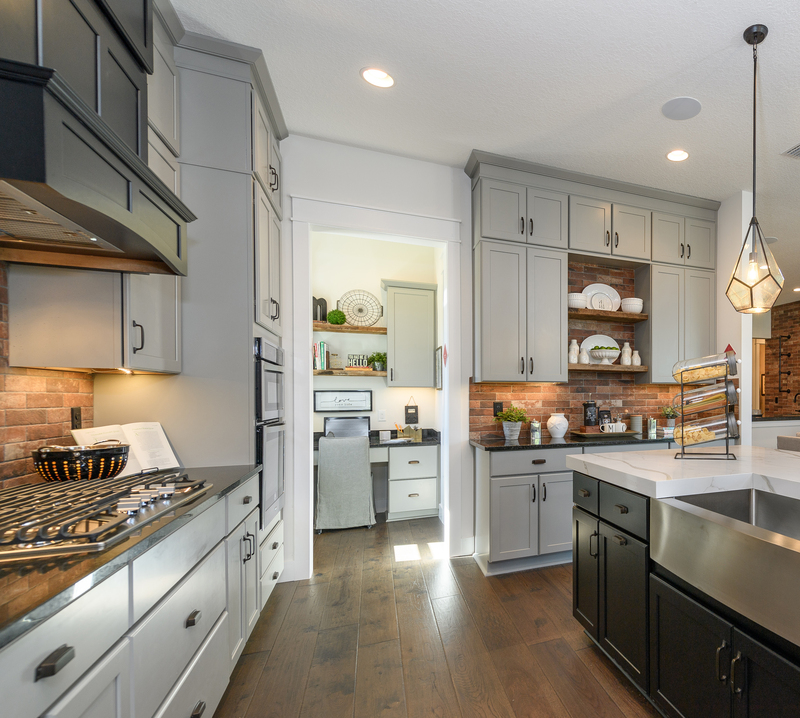 A six foot by six foot space is a great size to start with – bigger if the floorplan allows. Make sure there is ample light. If there are cabinets or shelves in the room, I like under-cabinet light for task lighting (that way your head doesn’t cast shadows on your work). Don’t forget to place power outlets or power strips above the counter so plugging in electronics doesn’t require crawling around on the floor searching for the outlet in a dark space. Storage is also critical for paper, files and other materials. 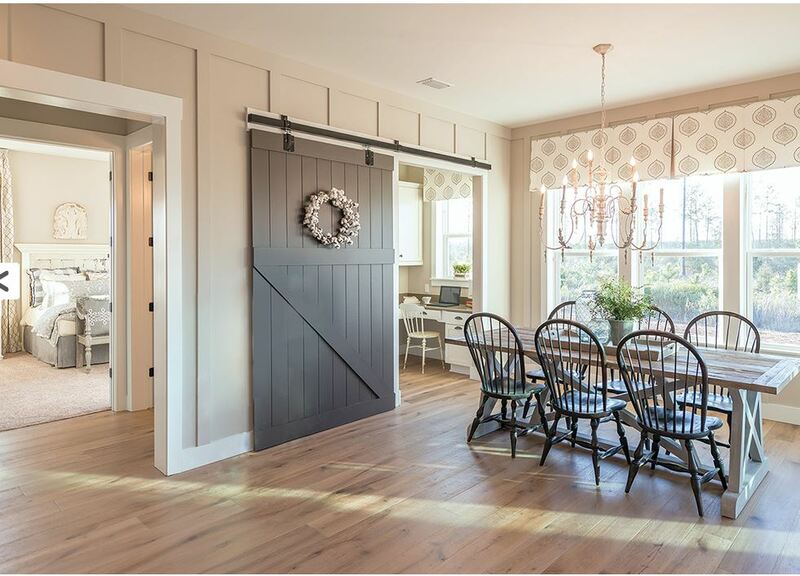 Lastly, I like the idea of a door to close the space off when you’re done working – or perhaps hide the organized chaos of half completed projects. The beauty of the Office Alcove is that it is a fairly simple option to incorporate into a floorplan. 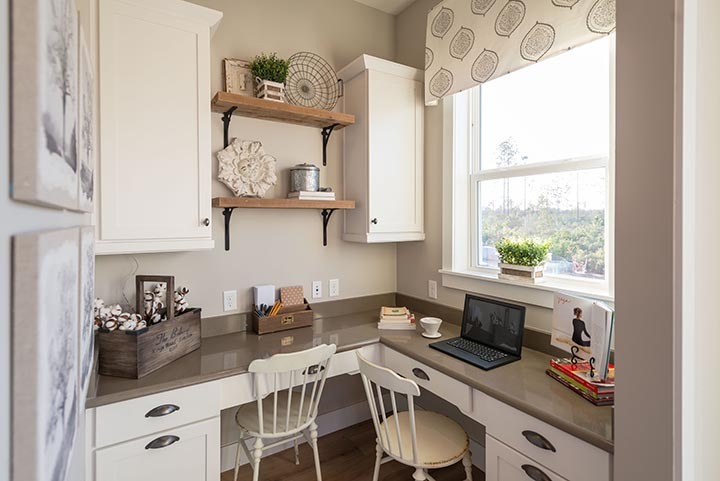 Many home buyers will appreciate the functionality of the space and see it as an opportunity to work from home without upsetting the feeling of “home”. In fact, my Alcove is one of the only places I can sit down and focus on writing these blogs!